I have some exciting news about a writing residency this summer in the Georgia mountains! 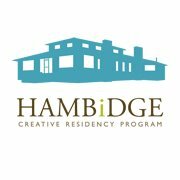 I was just awarded an NEA fellowship to attend the Hambidge Center for the Creative Arts & Sciences. When I applied I didn’t know that a special fellowship was possible, but it turns out that the nine top-scoring applicants from all artistic disciplines are awarded a fellowship from the National Endowment for the Arts that covers the cost of the residency and gives a stipend. And I was one of those nine. (???!!!!) And because of that surprise award, I can definitely afford to go! Pretty excited. So I’ll be spending two weeks in a writing studio in the Blue Ridge Mountains of rural Georgia this June. Thank you so much to Hambidge and the NEA for this magical opportunity! I expect to write many pages in the quiet and the solitude and wander the woods for inspiration.